Thank you for considering us for your estate sale needs. Timeline first started in 2002 and quickly realized the need to help people with inherited possessions and downsizing/moving sales. For those first years we held sales for people periodically while we watched the market grow. Then in 2010 we threw our hat in the ring for real. Since then we have participated in hundreds of sales always with the same goal in mind. To maximize the proceeds for the family and sell as much of the property as we can. We've helped with overwhelming situations as well as easy ones. We guarantee that we have a plan for your needs. We offer a turnkey service with no upfront costs. No mater what type of sale you have our staff has the knowledge and experience to handle it. I look forward to hearing from you. Attention: Parking instructions and new pictures for Flournoy Lucas Sale! I've got some keywords and descriptions coming tomorrow. For today I will have to let the pictures do the talking. 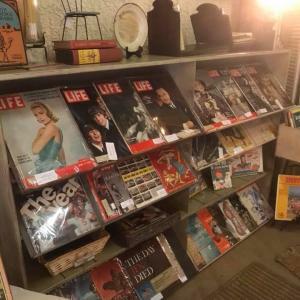 Timeline Antiques and Shreveport Salvage Flash Sale. 20-50% off the entire store. That's almost 9,000 square feet of savings! A Fantastic and Fair Sale on Ferry Creek. Just a short drive up Airline but packed with dishes and furniture. You are going to love the prices and the selection. Well worth the trip. Brenner Furniture Building is now 75% off remaining inventory. Hurry the sale will end at 3 today. Just Jump, Jog and Jive to Johnson Drive. Waterbury Waits with Wonderful and Workable Wears. Shreveport Salvage Warehouse Liquidation Sale. Everything Must Go by Noon! Ingenious Alliterations Invite Intellectual Individuals to Indian Hills. Everyone Race for Energizing and Eclectic Repost on East Ridge. The Glenwood Outdoor Market and Fundraiser for Hidden Haven Service Dog. The Crescent Road Sale is going 75% Off for the remainder of the day. Ready to Race to Ridgehaven for a Rocking Ratio of Reasonably price Recycle. This company has posted a total of 32 estate sales. Only the most recent 29 sales are shown.